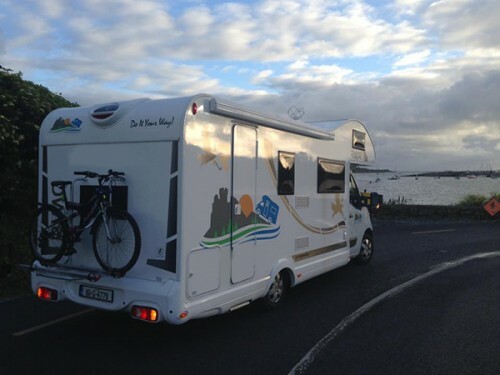 Motorhome Hire County Galway, Tuam, Ballinasloe, Loughrea, Oranmore, Athenry, Gort, and more! County Galway rests in the province of Connacht, western Ireland. Galway serves as the county town, and the Atlantic Ocean bounds the region to the west, County Mayo to the north, County Roscommon to the north and east and County Clare to the south. The locals primarily speak Irish (Gaelic), and it contains the most significant Irish speaking community in an Irish county. The central lowlands form two-thirds of Galway, and the west contains many heathlands, uplands, lakes, bogs and towering summits. The locals primarily live in villages and towns which are all far smaller than the county town of Galway. Living conditions in the region are considered harsh, and many residents reside on small farms dotting the coastal belt. Today, Galway is a hugely popular travel destination for many wanders. There are many exciting adventures in the medieval city. Dunguaire Castle is a striking 16th-century tower, erected by the O’Hynes clan along the shores of Galway Bay. The Aran Islands serve as a new island for exploration and contain ruins like churches. The Cliffs of Moher are one of Ireland’s most remarkable natural wonders and pulls in thousands of visitors each year. See these beautiful attractions and more with Camperbug motorhome hires. I am Katamarano9, hire me today! Smarty motorhome has belted seats and sleeping accommodation for 5 persons.